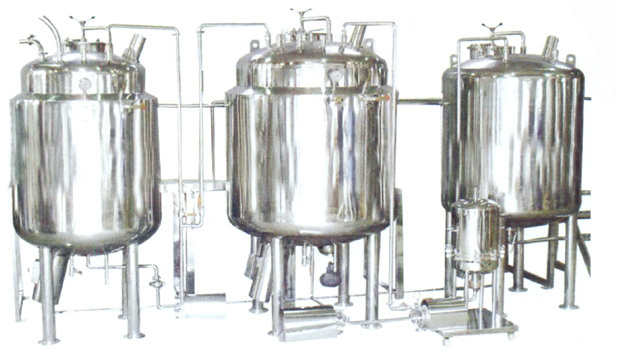 • Consisting of sugar melting vessel, main syrup manufacturing vessel and storage vessel, filter press and pumps. • All the vessels are interconnected with pipeline and the process is fully automatic, untouched with PLC (Optional). • Bottom entry stirrers to restrict overall ceiling height. • multiple passes in recirculation mode with self inbuilt pumping facility within the unit. Working platform in S.S. 304. ladder with railing at three sides of the platform will be provided. 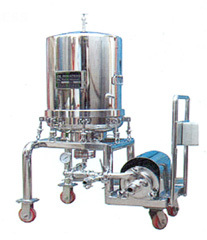 • Available in various batch capacities from 500 litres to 5000 litres. • Horizontal Plate Filter Press is enclosed construction, preventing evaporation, oxidation, leakage and fumes escaping from product. • Filter plates are available in two sizes. Deep plate for large percentage of cake holding capacity and Shallow plate for small percentage of cake holding capacity. • The horizontal filter plate and even thickness of cake, prevent the cake dropping as well as cracking, thus assuring better filtrate quality. © Autocal solutions Pvt Ltd.